Sonoma County Tourism (also known as SCT) is the official destination marketing organization dedicated to promoting Sonoma County as an overnight destination. SCT is a private, non-profit 501(c)6 organization, staffed by professionals in the fields of sales, marketing, communications, and administration. It is governed by a volunteer board of directors, with input from committees, stakeholders, and the general public. The core values of SCT are accountability, innovation, leadership, transparency, and diversity. These values drive our strategic planning, and affect decisions for sales, marketing, and operations. The majority of SCT’s funding comes from a 2 percent assessment on applicable lodging rooms within the Sonoma County Tourism Business Improvement Area. In addition, SCT is one of many organizations that receives funds as from the County of Sonoma’s innovative Advertising Award Program. "The Sonoma County Board of Supervisors established the Advertising Program in 1986 utilizing Transient Occupancy Tax (TOT) funds. TOT is currently charged at a rate of 12% for accommodations at lodging and camping facilities in the unincorporated areas of the county. Funds from TOT are made available for the promotional activities of private nonprofit organizations in Sonoma County whose purposes are to provide cultural, historical preservation, and other activities which enhance tourism and industry, and/or local community events which encourage a sense of community. Funds are also available for local Chambers of Commerce and Visitor Centers as well as various community impacts resulting from tourism. In addition, the Advertising Program also provides funds for county department activities including, but not limited to, education and promotion of Sonoma County and recreational opportunities provided to both citizens of and visitors to Sonoma County." How Sonoma County Tourism Bureau is funded from Sonoma County Tourism on Vimeo. Tourism in Sonoma County has a direct economic impact of more than $2.1 billion annually, and represents more than 22,600 local jobs. Taxes collected from visitors mean $177 million in government revenues, and those funds are used for general funds for government, regional parks, arts and cultural organizations, affordable housing, and public safety. Sonoma County Business Improvement Area from Sonoma County Tourism on Vimeo. SCT’s efforts are divided into three main segments of travelers: individual leisure travelers, meetings and groups, and “tour and travel,” which are the buyers of packaged travel like tour operators and travel agents. Combining these three segments provides a “balanced portfolio” of potential travelers, so SCT can bring more “heads in beds” throughout the year. Tourism Pays for Sonoma County from Sonoma County Tourism on Vimeo. For more detailed information about SCT, we encourage you to contact us directly with your questions, or host a “Coffee Klatch” meeting where SCT staff can present to your local group. There is also information in our annual report and marketing plan, which can be downloaded here. With an annual economic impact of more than $2.1 billion, the tourism industry in Sonoma County has emerged as a vital component in sustaining the local economy. In recognition of its importance, a public/private collaborative process was initiated to develop a structure to support and increase the vitality of this industry sector. From this collaborative process, Sonoma County Tourism was created as the destination marketing organization for Sonoma County. In March 2001, leaders in the tourism industry and the public sector began to formulate ideas and investigate ways of creating a funding structure to support a comprehensive tourism marketing program. In these discussions, the idea of creating a special county-wide tourism business improvement area emerged. The Sonoma County Lodging Association (SCLA) became the lead organization advocating the development of a new business improvement area. In 2004, SCLA promoted the development of the business improvement area to its members, community leaders, public officials and tourism-related organizations. 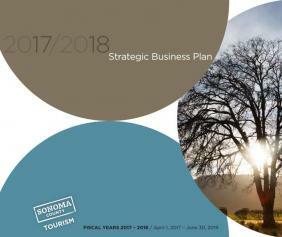 In November 2004, SCLA saw their vision become reality when the Sonoma County Board of Supervisors established the Sonoma County Tourism Business Improvement Area (SCTBIA). Soon after the establishment of the SCTBIA, the organizational framework for the Sonoma County Tourism Bureau (SCTB) was developed, including articles of incorporation and by-laws. In addition, the five-member SCTBIA Advisory Board was appointed to act as liaison between the Board of Supervisors and the new SCTB. On Jan. 1, 2005, a new era in funding Sonoma County tourism marketing began as the SCTBIA went into effect. The development of the new Sonoma County Tourism Bureau took a significant step forward in February 2005 as the 22-member board of directors was appointed and had its inaugural meeting. In June 2005, the Board of Supervisors ratified a contract with SCTB to market Sonoma County and promote overnight visitors. On July 1, 2005, the SCTB officially became the destination marketing organization for Sonoma County. In August 2012, as part of a branding initiative with Sonoma County Vintners and Sonoma County Winegrape Commission, SCTB started using Sonoma County Tourism (SCT) as its public persona.